By Rental Car – check your own rates. Note: We don’t have own parking space. Shared transport – approx. 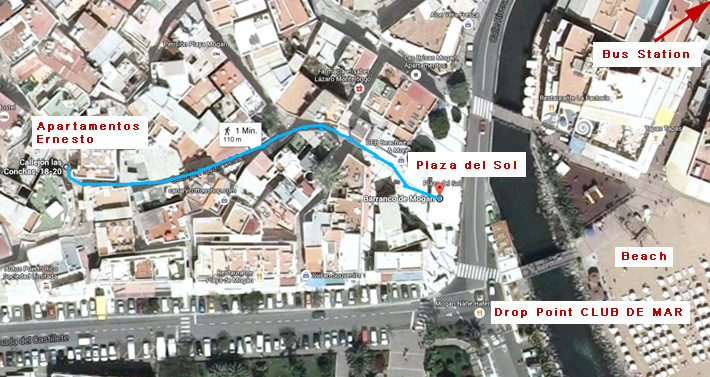 EUR 18.– / person – Indicate: Drop and Pick up Point: “Hotel Puerto de Mogan (Club de Mar)” as they normally don’t know Apartamentos Ernesto. It’s just on the corner of the main street as indicated.